In the days after our general test we attentively observe the weather forecast for Bieszczady. It’s getting warmer, a good sign. It will save the energy, allow us to run in lighter clothing and protect us from undercooling. But the bad news is: It’s raining! And rain is what makes the Butcher’s race a real challenge. It turns the creeks into rivers you have to ford wetting your shoes – a recipe for blisters and skin abrasion. 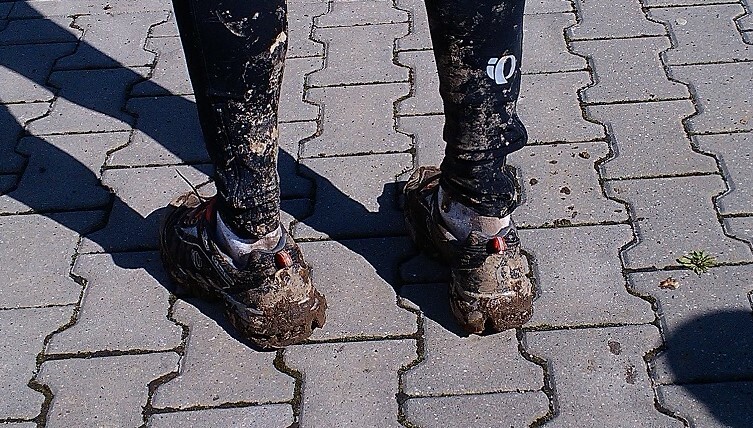 The clay soil turns into mud, which depending on the humidity either is so sticky your shoes stay in the mud while your bare feet run further which makes running a torture, or as slippery as ice making the running feel like balancing on a circus line. Hopefully it will stop raining and the soil will get dry by the time of the race. The big day comes quickly. We arrive to Komancza, check in at our bed and breakfast and then continue to Cisna, to register for the race. 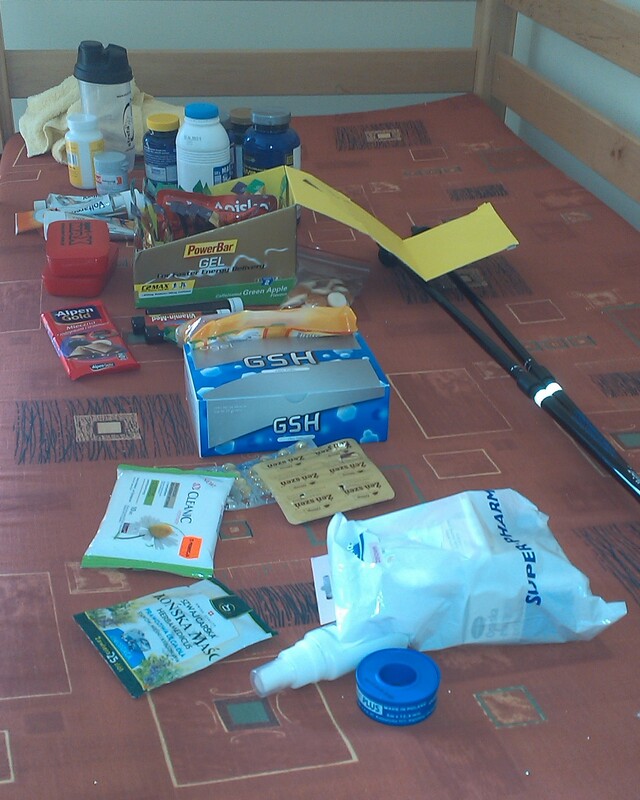 We get our starter kits and now our goal is to just get as much carbohydrates and as much rest as possible. We get to bed early in order to be ready for the 3:30am start. The starting line is situated just around the corner, 200 meters from our place. We additionally deposit some food, clothes and shoes to change at the two “change” stations in Cisna and Smerek. Our poles we want to pick up in Cisna, for the ascends in the second part of the run. We get up in the middle of the night for the last preparation. It’s raining! Well, we can’t change it now. We need to accept the reality and work our way through it. They give a starting shot from the riffle and we set ourselves into easy trot. Ahead of us almost 80 kilometers and +3700m up and -3500m down in altitude. We promised ourselves not to involve in any position battles at that stage of the course and Jack has to dampen my temper several times. After an hour, it’s dawning and we enter the woods to begin climbing the first slope. It is only the prelude to the coming hardships, the easiest climb in the series of the rising summits before us. The only difficulty is at that point, that the creeks we knew from the test now turned into rivers and need to be forded, making our shoes wet and also the legs up to the knees. We just smile hearing that because we know, it will get harder, much, much harder. Our mind boggles at how you can approach such a challenge with such a childish ignorance, blind enthusiasm combined with complete lack of preparation. You just can’t be successful doing it with that naivety. After about 2h45m we reach the first food station. Take some quick drinks, refill the camelbaks and continue. It’s still raining but the humidity doesn’t look that bad in this section due to the gravel soil. Also the second section goes well. There is one treacherous, steep descent before Cisna, down under a chair lift. It is muddy and slippery. We are not allowed to carry poles until Cisna, so the only way is to try to catch some branches on the way down if you somehow hope to stay upright. I slide half of the muddy part on my buttocks, getting pretty dirty but it completely doesn’t dim my great mood. The most important thing is the bones, joints and tendons are ok. I decide to change them for the clean ones I have deposited here mainly to avoid abrasions due to the moisture. You need also to remove the transmitter from the old shoes and attach it to the new ones. It costs us time and Jack urges me to hurry up, not to lose time. Time is not the problem, but the shoe change turns out to be a mistake, which I learn when we leave the station. Now comes the longest, but not the hardest section. Just on the first climb behind Cisna we make acquaintance with the famous local clay in a wet state. My shoe gets stuck in it more than once and I notice it, when my foot lands in muddy clay without the shoe. Not a nice experience considering the number of kilometers to go. On other occasions the wetter clay is like an ice rink. If not for the pole, I would never be able to climb it on my feet. The new shoes have a weaker profile than the old ones. It makes it even more difficult to stay upright. I slide and skid over and over again. It costs a lot of energy. If I knew it before, I wouldn’t have changed the shoes. On the top of the mountain I take a wrong turn and run several hundred meters till I realize I must have lost the trail. I call Jack to tell him to wait for me. We lose at least 20 minutes. We go up to the border of Slovakia and then descend to Smerek. It is a long, long descent in the forest. You can easily overload your joints or ligaments, you need to be very, very careful. Then several kilometers flat, over the river and we are at the Smerek change station, over half an hour before the time limit. For the good part of the past several hours I have been dreaming about the legendary rolls with cheese they serve at the Smerek checkpoint. After nine and half hours and 56 kilometers of running on the artificial, condensed, energy packed food my body craves for some real food. My mouth waters at the very though of these delicious rolls with real cheese I have read about in each report from the previous races. But we are pretty much at the end of the field and the rolls with cheese are gone. They still have some with jam and some with ham. I go for the jam. I have never had a better dish served in my life. I am really, really wasted, but it is nothing in comparison to Jack. Once he sits down here, he is unable to move. I have to bring him food and drinks. We refill everything, no clothes change. But he puts off our departure more and more, just sitting there motionless with sunken head, looking down into nowhere. I need to use my best motivational skills to convince him to get up and continue. He hesitates. I can see he is battling an inner fight, his will against his body. It feels like eternity. After 22 minutes in Smerek, we finally leave. When you run ultra marathons, your eating and drinking regime during the run is extremely important. Your body is able to take in up to 250 kcal an hour, but you burn 500-700 kcal in the same amount of time. You are always in minus. You need to eat a lot of carbohydrates in advance and then keep eating during you run, regularly in a set rhythm to get as many calories as you can. We eat every 30 minutes, controlling it strictly with the watch, no matter if we feel like it or not. 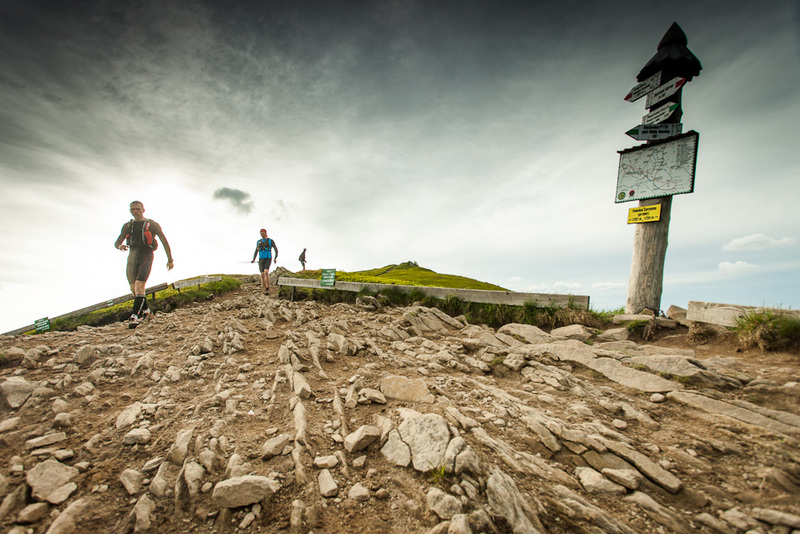 In an ultra marathon before you can feel hungry, you will experience an energy shorting resulting in energetic collapse or undercooling and shivers. I am carefully watching the watch and give a command to drink every 15 minutes and to eat every 30 minutes. And we drink every 15 minutes, independently of the feeling of thirst. If you feel thirsty, you are dehydrated already and it is too late to drink. Some people say the Butcher’s Race starts in Smerek. And they are right. 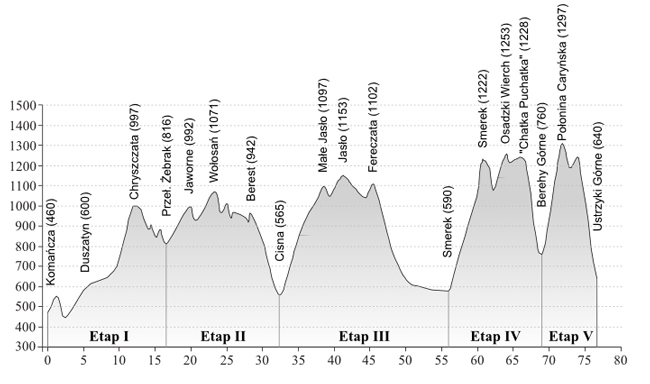 The next sections contain long, most demanding climbs. We pay tribute to the extreme fatigue and the long hours of constant running. We are so badly undersugered that our bodies and minds start to malfunction. He seems confused. I don’t want to problematize it. I don’t want to scary him. I know what is going on. His eyes fixed in some point in front of him, full, absent focus. It’s amnesia. His brain is switching off the less important functions. His body is moving on auto pilot. I decide to entertain him with talking and force him to answering me, otherwise I will lose him. Soon we reach the tree line and enter the mountain pasture. As soon as we are on the summit, he seems to regain his powers. 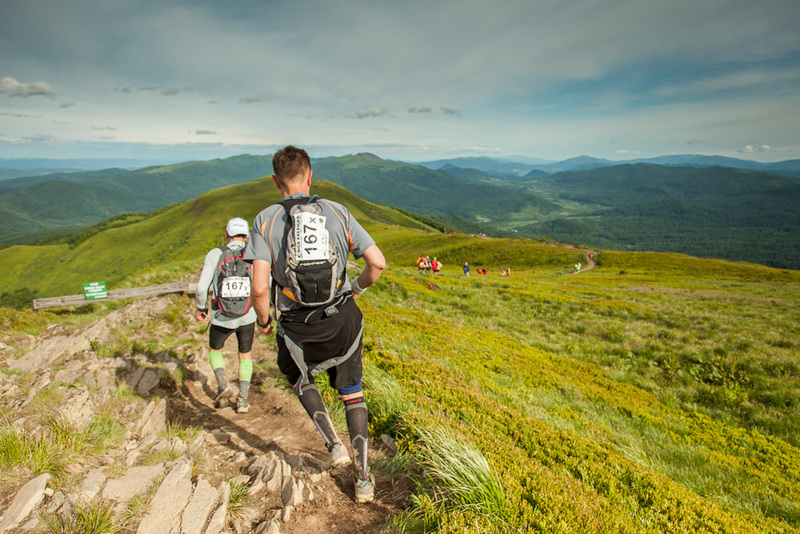 There are three summits among the famous Bieszczady pastures and wonderful views, refreshing breeze and sun, a lot of sun. Only the soil is interspersed with treacherous protruding rocks set in most adventurous angles making running on it a dangerous undertaking. You can easily stumble over them and fall on them breaking your bones. We continue to run the ridge in a faster trot. Suddenly two people overtake me and ask me if everything is ok. I realize what the problem is. I started the race with a slightly sore throat. During the run it gradually got worse, up to the point that I just couldn’t swallow my last meal, consisting of a natural energy grain bar. I just didn’t have enough saliva to dissolve it enough to be able to get it down and no amount of water could help me with it. Just one missed meal resulted in sudden energy crisis and me slowing down without even noticing it. No problem, I will drink more now and try to eat more at the next meal time. I explain to him and now I can feel the wave of weakness overcoming me. I do and lo and behold just on time before the climb to the next summit I get better. But every kilometer now gets harder and harder. The weariness affects our senses and our reflexes. We stumble over the rocks more often now and it is only a question of time when we will fall and disaster strikes. Especially the tricky descent can become a problem. And that is, in fact what soon happens. I slip out and fall down descending a series of natural stairs. Fortunately besides bruises and a bent pole nothing much happens. I was lucky this time. Then again, shortly before the station, there is a longer patch of slippery clay and it blows me away again. 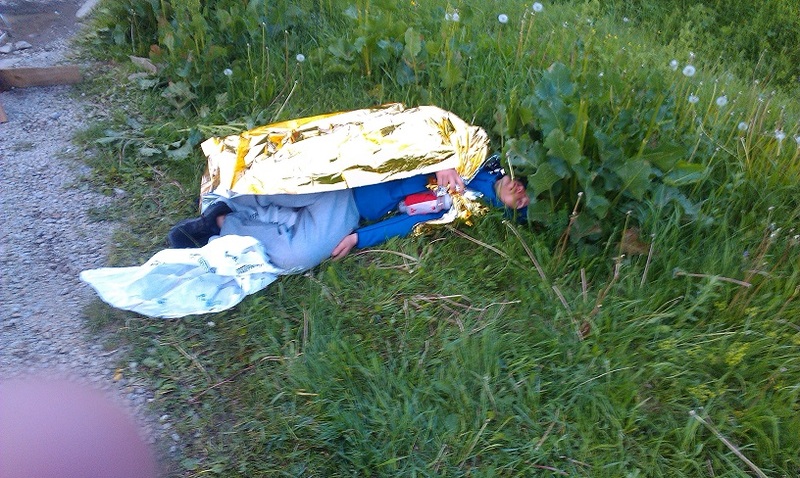 Fortunately I fall into the nettles at the side of the track. So I get some nettle burns, which invigorates me and I can continue. 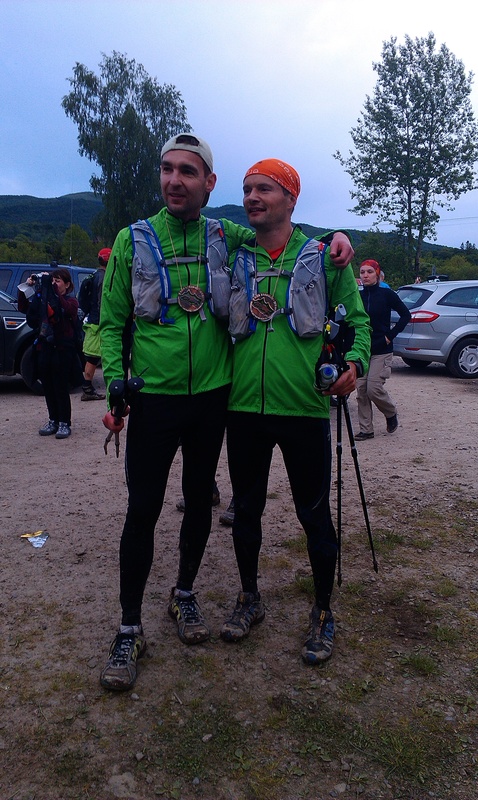 We reach Berehy Gorne after 4pm, behind us around 70km and 13 hours of running. Our margin melt down to 21 minutes. Not that much time. But there are only 9 kilometers left and we just have to manage that. And there is no time to lose. During our test, we needed just 50 minutes for the last part. But now we are at the end of our tether, the soil is wet and slippery and we can barely move. We will need much, much more time, if at all we reach the finish line. We manage to leave the station after 12 minutes and have almost 100 minutes left for the last section. It turns out to be pure suffering. The Cerynska Meadow is infamous in Butcher’s Race for taking your last sparkle, your very last bit of energy. We tumble along the ridge and down the perilous wild steps down to the finish in Ustrzyki Gorne paying attention not to fall again. Jack stops several times and changes into a walk. I need to cheer him to move faster. Will we manage to reach the finish line before the time limit? Then we hear the sound of drums coming from the valley, unmistakable sign of the end coming closer. I tell Jack we are almost there in hope it will make him run faster. But it doesn’t help. Then I take him by hand and tear him to the finish. We are there! 15 minutes before the limit! 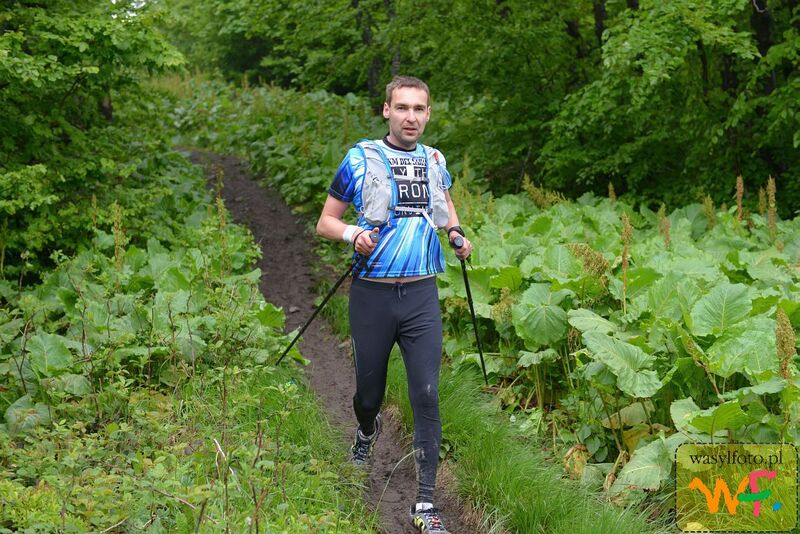 It takes us 15 hours and 45 minutes to cover the 80km trail from Komancza to Ustrzyki Gorne. We get our medals, take some pictures and need to quickly get some warm food to avoid the undercooling and shivers coming from the huge energetic deficit. I let Jack sit down and get us the hot soup offered by the staff. Before the race I told him about my plans to go to Namibia for the run 100km of the Namib desert, inviting him to join me. This prospect is a terrifying vision for him now, but the time will cure his wounds and we will go to Namibia to run in the hottest desert of the world. I just smile knowing exactly you shouldn’t believe in words of a man under shock. I have probably never been so thin in my entire life. We need to quickly dress in warmer clothes, get back to the village and then eat and eat and eat. We buy a 2 liter bottle of coke and down it in a minute. To get back to our village we catch the bus provided for the participants. It’s packed full and a two-hour drive standing on one foot in a bus bumping on the holey local roads, half-dead after 16 hours or a mountain ultra marathon is not the most pleasant experience. I get a shock when the guy next to me faints, and I need to hold him again and again until somebody offers him a seat. I am afraid he could die like another guy who literally died in my arms during another run this year. Fortunately he gets better, when his blood circulation kicks in again. During the long bus drive we look at the mountain ridge in disbelief that we actually run all that distance and now the road keeps going seemingly into infinity to bring us back to the point where we started our run. We can’t imagine we have covered that distance and climbed these summits on the way. Our accomplishment fills us in awe and pride. Next day is the Internetional Child’s Day. A perfect day to celebrate our feat. And Jack has a double reason to celebrate it. 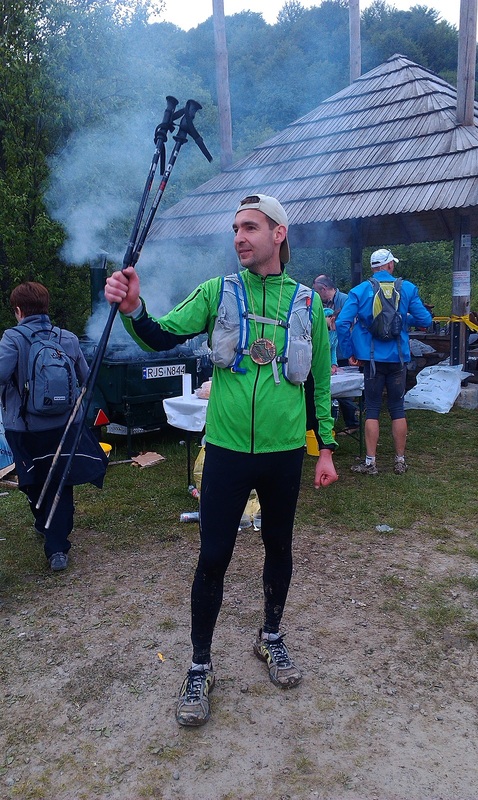 He has managed to finish the hardest Polish ultra marathon with just two months of preparation. What have I learned at Butcher’s race? I learned that you are able to astound yourself. That the limits of our abilities lie far above what we think is possible for us and try to achieve. But there is no easy way to accomplish big things. Only thorough and diligent preparation will let you succeed in making them real. You always have to pay the price and you need to be willing to sacrifice a lot if you want to reach the limits of the possible. And, it is always good to have somebody at your side, who can take you by the hand and drag you through the finish line, when you think you can’t any more, like I did with Jack.